To immigrate to another country, a person needs documentation of their past life and current status. Jadzia lost everything when she was arrested, including her personal documents. 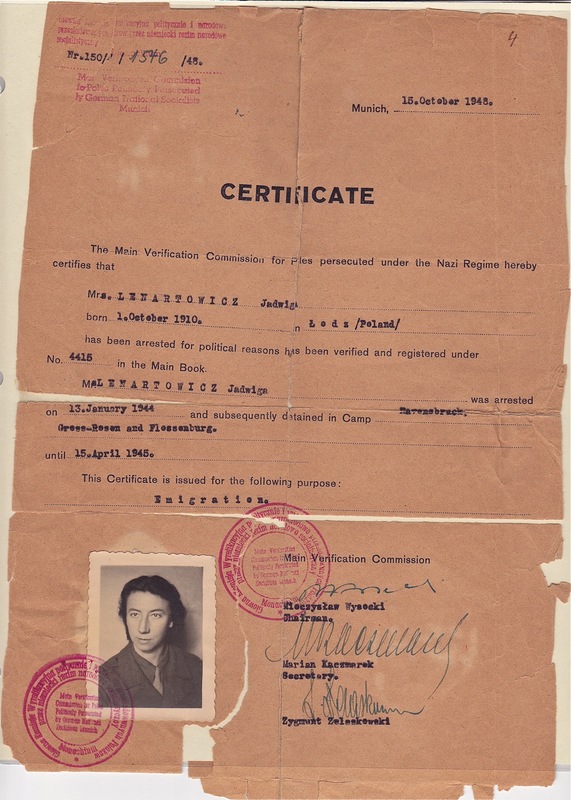 After the war, she had to gather proof of her national origin, her education and professional qualifications, and that she was a victim of Nazi oppression. 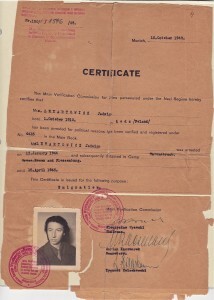 This involved ongoing efforts to acquire—or create—a birth certificate, obtain testimonies of her ongoing work and skills as a physician, and get copies of concentration camp records. These efforts occurred amidst the context of postwar chaos, destruction, a communist-controlled Poland, and growing tensions between the West and the Soviet Union. 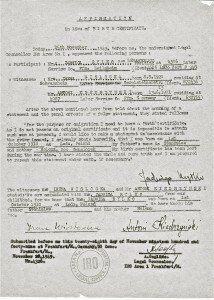 Below is a sample of such documents. 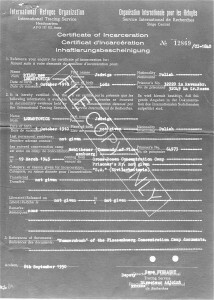 (273-274) Affirmation in lieu of birth certificate presented to the International Refugee Organization, IRO (November 28, 1949, Frankfurt am Main). (268-269) “Dr. 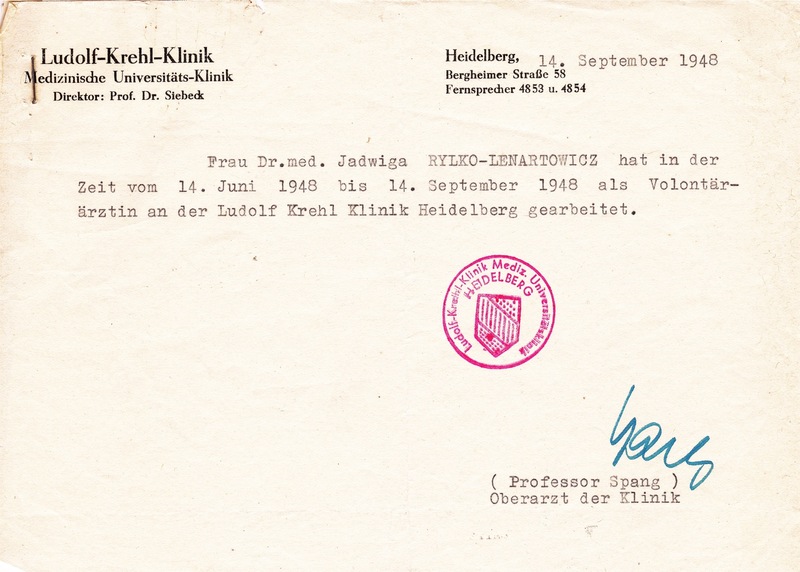 Jadwiga Rylko-Lenartowicz was practicing since 14 June 1948 to 14 September 1948 at the Ludolph-Krehl Clinic, Heidelberg, as a volunteer doctor” (official translation into English, September 14, 1948). 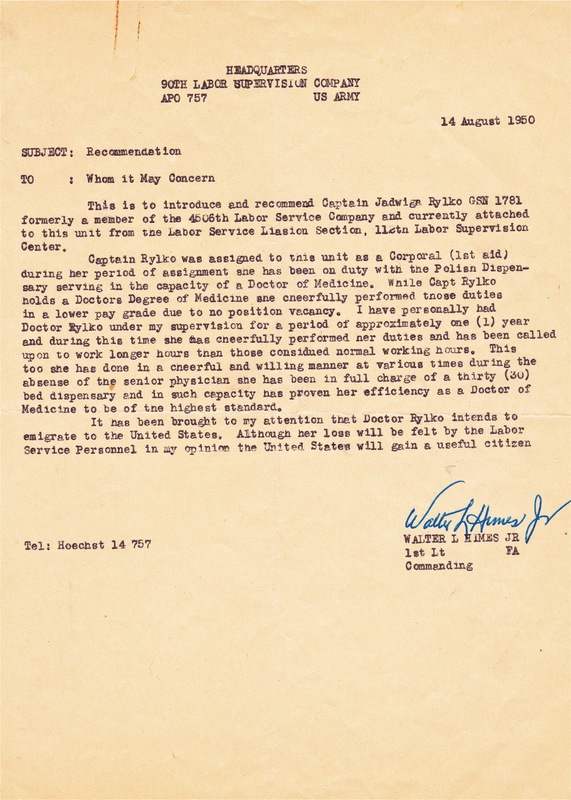 (277-279) One of several letters Jadzia acquired between 1946 and 1950 from her commanding officers in the U.S. Army, attesting to the length and quality of her work as a physician in various refugee and training camps. “Captain Rylko . 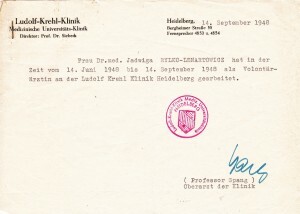 . . has proven her efficiency as a Doctor of Medicine to be of the highest standard” (August 14 1950, Höchst). 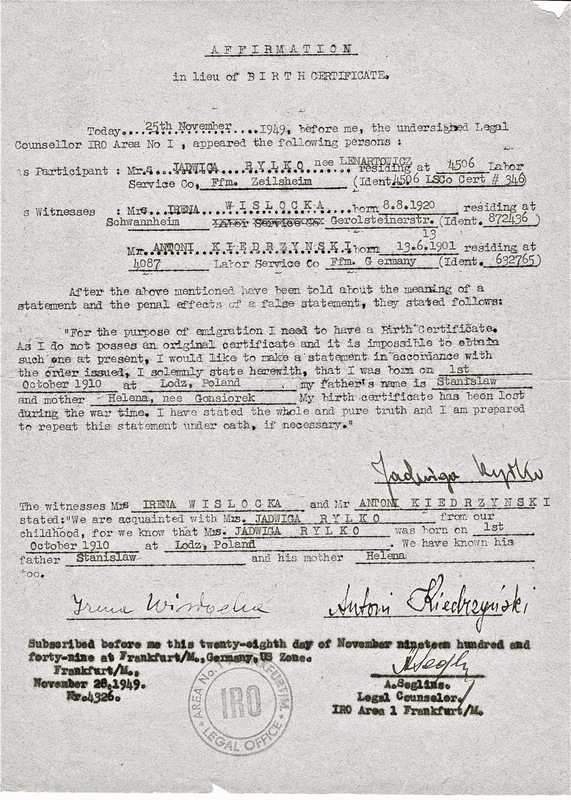 (275) First certificate verifying Jadzia’s imprisonment—although it contains few details (October 15, 1948). 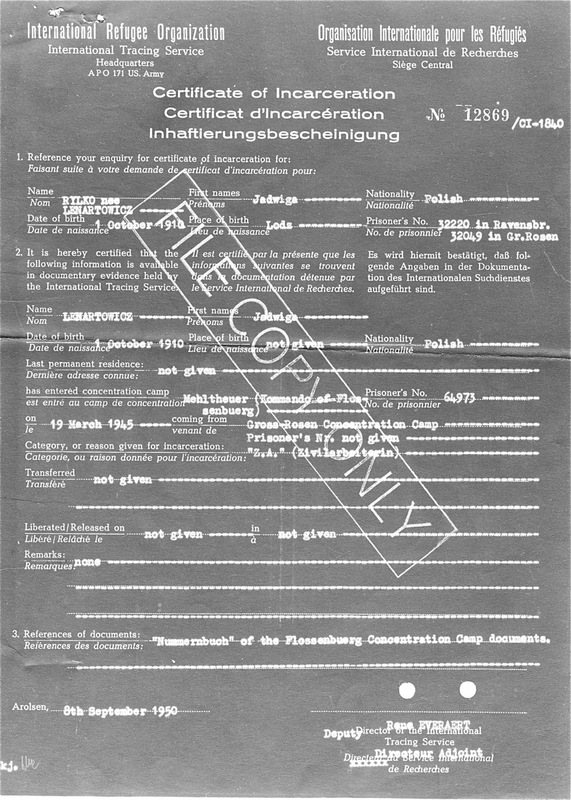 (275-276) Certificate of Incarceration issued by the IRO’s International Tracing Service (ITS) on September 8, 1950, providing details regarding the various camps where Jadzia was held. 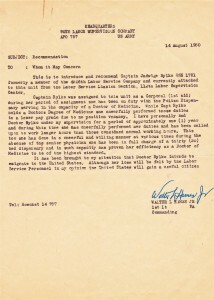 She would continue to get additional updates throughout the 1950s and even in 1970, as the ITS discovered new records.